Congratulations to Carlos Garza Fernandez from Spain winner of the Mackenzie Autumn rod competition. Thank you to Carlos for his story and pictures of his visit to Scotland in September. Ten years ago I spent a week in Inverness, fishing the magnificent River Ness (Town Waters) and exploring the Highlands. Last year I was lucky to fish in Norway, Ireland and also in the north of Spain (we have some good spring water)… But I wanted to go back to Scotland, where fly fishing for salmon began, beautiful rivers, the heritage, the Scots and the landscape. The day I caught my fish we fished the upper beat, Dochfour Fishing, in morning without a single pull. But, despite no fish, the river was beautiful, and the previous day we had seen salmon leaping in the Town Waters. I had a lot of faith! After lunch I asked Grant about the Pipe pool (between the Burnmouth and the Weir). A deep pool which can hold big salmon. 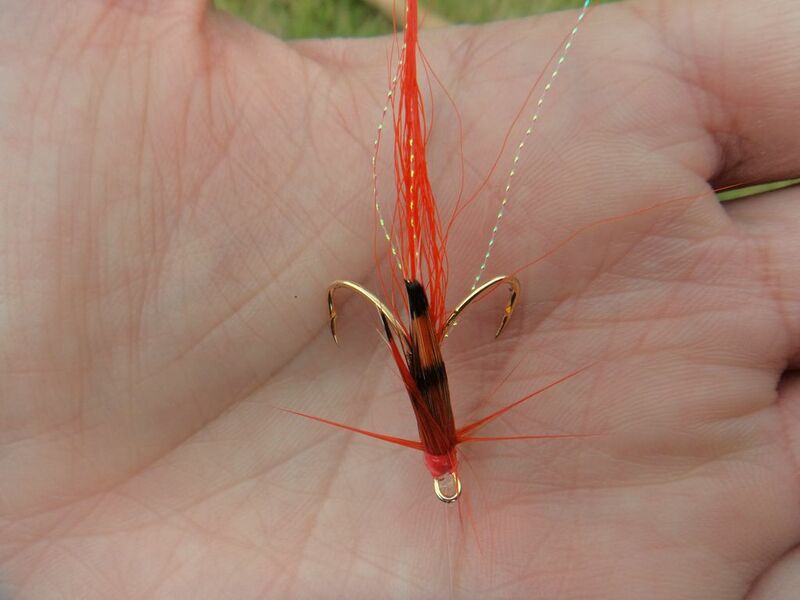 I attached a slow sink tip to my floating carron line and used my favourite fly a ‘Ally´s Shrimp’. After fifteen minutes I had a strong pull, line began to fly through the rings as the fish sped down stream, stripping my line to the backing. The fish ran without stopping upstream, downstream, unbelievable! Grant and I realised quickly that I had into hooked a large fish. I was lucky to have Grant there to guide and give me advice whilst I was playing the fish which took 15 minutes. He professionally netted and weighed the fish at 21lb and quickly took some photographs and released the salmon to continue its journey. I sent Mauricio Gordillo, NASF´s Chairman in Spain and a good friend the photographs of my trip to Scotland and my ‘Salmon of a lifetime’. Thank you for all. Fishpal is very useful and friendly. FishPal contacted Dochfour Fishing’s Head ghillie Grant Sutherland, who said “The party fished with me at the beginning of September and enjoyed plenty of activity during their two days with four fresh fish 5lb, 10.5lb 18lb and 21lb. The salmon is a fish of a lifetime for Carlos – “I have not seen anyone as chuffed to catch a fish as Carlos was that day in a long while”. The party also fished Ness-side, the location for the Scottish film ‘Once In Your Lifetime‘ and the Association Water. 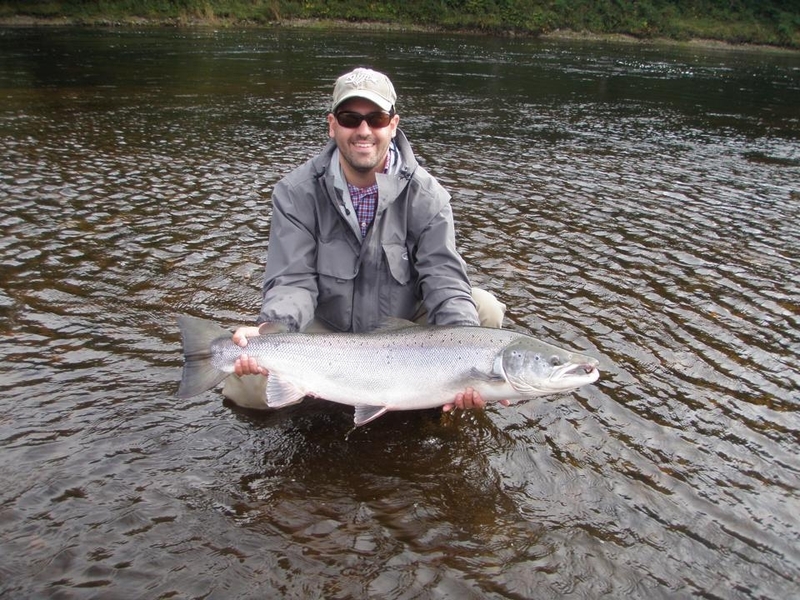 During the last 12 months the River Ness has enjoyed an increase in overseas visitors from Europe and the USA, this hidden gem offers excellent fishing opportunities for the visiting angler.